Since Assassin’s Creed II, each new year has inevitably meant a new installment of the series, to continued success. Assassin’s Creed is remarkable for utilizing its interactive medium to involve its players in no small amount of actual history. The mechanics, too — no matter how weighted down they were by slowness — did their part in transforming gamers into assassins at the press of a button. While the latest release, 2015’s Assassin’s Creed Syndicate, is still a very good game, it fell victim to severe technical issues at launch, much like its immediate predecessor, Unity. With an announcement that Assassin’s Creed would no longer be released annually, Ubisoft may have made a concession to the need for innovation and a less bracing pace. Since this year’s E3, we know a lot more about Assassin’s Creed Origins, and it seems the proposed changes are here. However, since neither “more” nor “different” necessarily mean “better,” it’s worth taking a look at these new features and what they could mean for its game design, especially in terms of depth and complexity. Depth can refer to both the narrative and the mechanics of a game. If a story has depth, you will be emotionally invested due to the narrative giving you three-dimensional characters and allowing you to role-play by entering the character’s mind. Mechanical depth, on the other hand, is present when you are given a lot of different options in regards to how to approach almost any situation in a game. 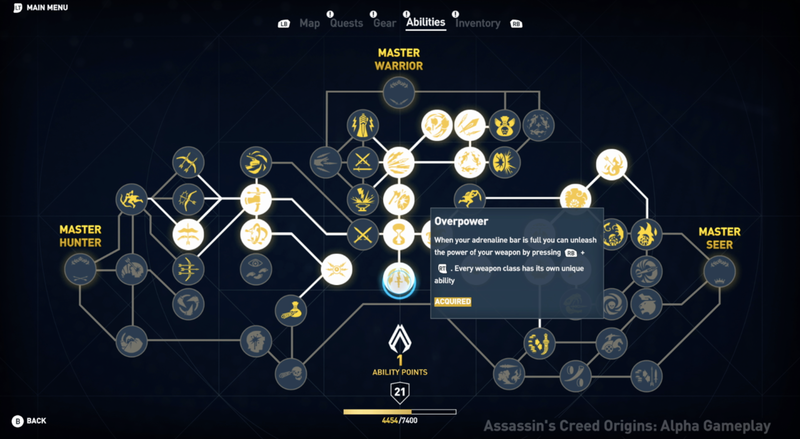 Assassin’s Creed has always packed variety in what we get to do, not necessarily how we do it. There are missions that require your stealth skills and those that are all about full-frontal combat, but oftentimes it was either one or the other. This means that even in missions where coming out of stealth in favor of assault was an option, the game often made it clear you were meant to stay hidden by tipping the odds against you, letting you know that, as an assassin, sneaking was what you were supposed to do. Strangely enough, it is just that element that never really lost its appeal; there is hardly anything more satisfying than catching an enemy unawares and ending him with a quick blade to the throat. Tailing missions however — which aborted the second you were caught — had as much appeal to them as being a PI in an overnight stake out with nothing but donuts and a few podcasts to while away the time. Since Origins chronicles the beginnings of assassin-hood, however, you will invest into your character via the RPG’s trusty friend, the skill tree, to show that even the greatest cutthroats had to start somewhere. The options may not look particularly diverse, as they give you the classic three corners of the pyramid: the master warrior, which is your brawler type; the seer, who mainly uses smoke bombs and darts; and the hunter, who specializes in ranged combat. With a skill tree, you have to make sure the differences between the three classes are big enough to open up richly diverse experiences. Otherwise it may feel like grinding to get your powers back, because introducing such a system at this point of the series means many seasoned players already know what it feels like to be powerful with little effort. Assassin’s Creed may trip over nothing but its own legacy, the time when you had it all, by using a system that anyone who has ever played an RPG already knows. If done right, investing in changes and seeing how they shape your character over time definitely adds a lot of value to a game. In terms of complexity, too, spending some time over how you want to build your character can be refreshing, as long as you can create a good balance without getting continuously frustrated over all the options your choice bars you from. With the size of the tree, we’ll have to wait and see how many tiers you can unlock or how long it takes. You want to achieve a game experience that still feels roughly the same to all players, thus maintaining the elements players love Assassin’s Creed for. Together with a new, flexible combat system, this is certainly one of the biggest changes to the overall feel of the series. If the new skills are easy to use and remember without expansive tutorials, Origins will gain a lot of depth by giving the player different options to solve any combat or stealth mission, much like Horizon: Zero Dawn. To help you find new routes and map your territory, instead of eagle vision, you now get Senu — an actual eagle. For those of us who can’t tell left from right, mapping the world from above may not be the most helpful way to do things, however. With a more expansive open world also come more side-quests, often devoid of any substantial meaning. In earlier entries, this was limited to random thievery, collecting items such as feathers and pages, and really just more of the same thing you were already doing, which is nothing bad in itself. Many games, however, use side quests as just that — filler to give you more for less. As fun as those can be if you don’t have the patience for anything substantial and just want to stumble around a while or make some progress achievement hunting, nothing beats delving into a side quest and seeing it make a real impact, rather than ignoring it because you know you will just be carrying things from point A to B again. This could massively improve Assassin’s Creed narratively, as more chances to interact with the outside world and its inhabitants means a stronger relationship between the player and the main character. Essential to this is a protagonist you care about. In this regard, Assassin’s Creed has been hit and miss. Ezio Auditore was the suave, wise-cracking James Bond of the 15th century players loved to embody. No matter what you think of the Animus plot, Desmond Miles, too, was the focal point holding it together. Syndicate’s Evie and Jacob Frye, too, were well-rounded characters who gave you their own conflict to explore, rather than just following historical events with added assassins and templars. More side-quests should allow for more exploration of the world around you and how your character reacts to it. Many games still struggle with this, but it is the ability to get lost for the myriad of things to do that still give open world games their long-term appeal. Still, it is fair to say that Assassin’s Creed always put more emphasis on exploration of the world around you. It was an awesome feeling to scale the Florence Cathedral or infiltrate the Tower of London, because the game took recognizable monuments and allowed players to interact with them. 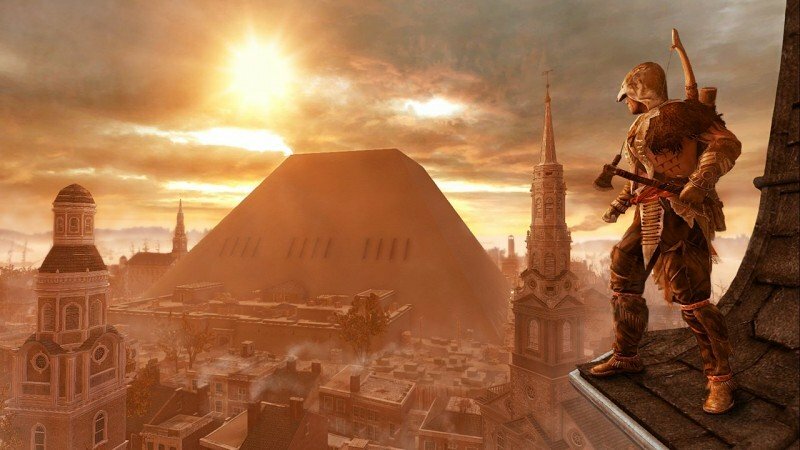 Here’s hoping Ubisoft created a memorable Egypt experience and quests that reward being inquisitive. A lot of people are pretty sick of fetch quests because you can end up backtracking a lot for minor rewards. If there is some urgency behind the hunt for an item, or if there are new things to discover on the way back, you might do these quests for more than relaxation purposes. Investing you into something you had no high expectations of definitely adds a lot of depth to a game, making you wonder what other exciting side quests could be out there. Subquests are no longer only a way to pass the time by collecting items and discovering locales, at least not entirely. The series has always given you opportunities to do this, but if you wanted to find out more about your hero, the main storyline was your best bet. 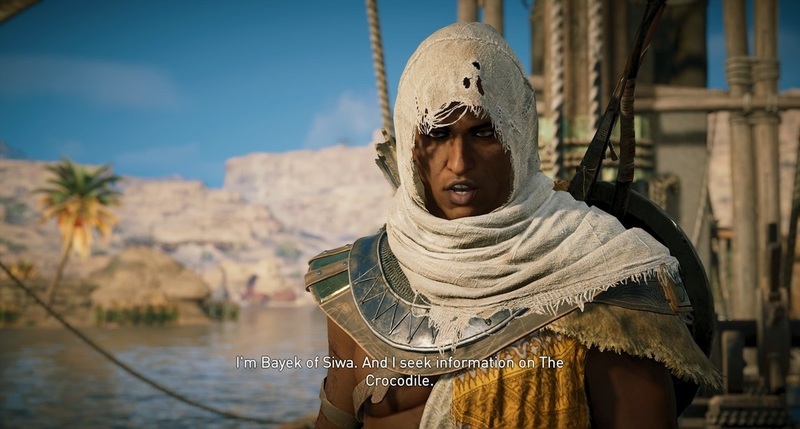 Taking a page from the Witcher series, interactions with your quest givers and the world around you are supposed to tell you more about Bayek and help make the world feel more lived in. 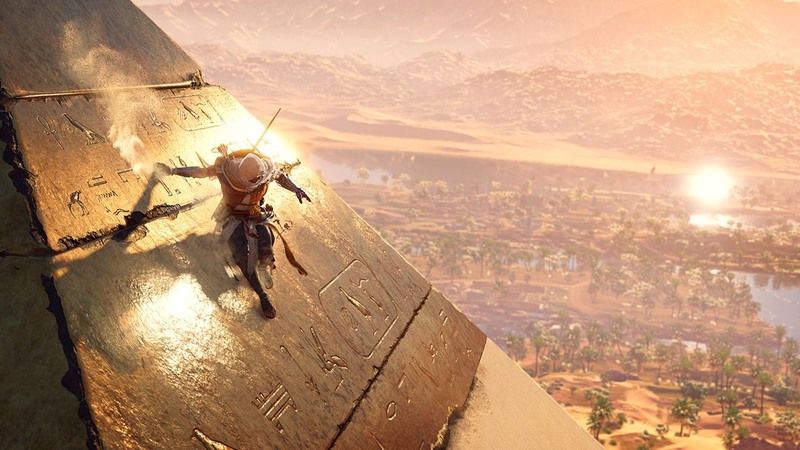 It’s not likely going to make Assassin’s Creed Origins into your next 200 hour game, but in terms of narrative and creating a world that stays with you, this is an important step. The trailers already showed multiple locations and plenty of wildlife, so there is hope that new mission types await. Of course, there is no way of knowing how much of an effect these changes will really have until the final game is in our hands, so make sure to check this very website for a look at whether or not it was worth the wait. A graduate in Japanese and Film Studies, Malindy writes for the corporate overlord during the day and sleeps at night. Between that she plays games, studies them from narrative and design aspects and writes short fiction. Building a PC: Style or Substance?